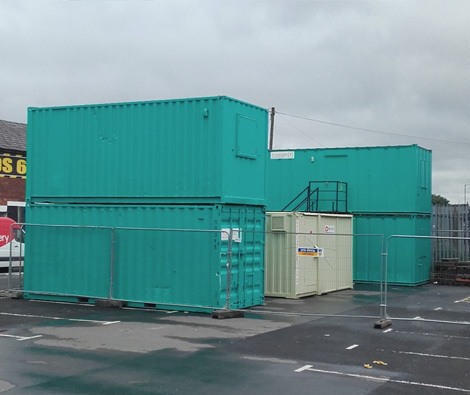 Transcabin Ltd is a leader in supplying anti-vandal site accommodation units to our customers by creating a successful partnership with them. We aim to deliver high quality, cost effective accommodation on time every time. Our pledge is to establish lasting relationships with our customers, suppliers, subcontractors and professional associates by exceeding their expectations and gaining their trust due to our professionalism, integrity, honesty and fairness. To help fulfil this mission we encourage a work environment that encourages new ideas, new innovations and growth. A commitment within our company to providing and sustaining high standards in our hiring and procedures. A commitment to investing in our staff and hence maximising each individual's potential within the business so that our company's commitments can be delivered sustainable. A commitment to following quality procedures in our work. A commitment to gaining and retaining the support and respect of our customer through quality and service. A commitment to carry out our duties with the utmost honesty, integrity and professionalism. A commitment to strive to improve, develop and to move the company forward and never stand still. A commitment to serve our customers in the manner which becomes the envy of our competitors.